Have no way to play sound on your computer? We often face such situations when our computer’s speaker stops working or gets damaged. 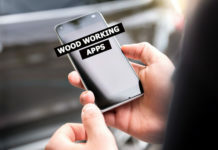 If you are facing such situation then don’t worry this article is all about how you can play your computer’s audio on your android phone. There are various apps in google play store which allow us to use our android device as speakers. But we are going to use an app called SoundWire as it very easy to setup. How to Use Your Android Phone as Speaker ? It is very easy to use android phone as speaker. No you don’t need any cables and all that stuff. We are going to use SoundWire app which allow us to use our android device as wireless portable speakers. All you need is Wifi network and both the devices (Your computer and android phone) should be connected on same WiFi Network. First you need to install SoundWire app on your android device, Search for SoundWire app on Google Play Store or you can download it directly form here. There are two versions i.e paid and free one, you can always go with the free one. Once you have downloaded the appropriate version of SoundWire server, Extract the downloaded rar file and run SoundWire server setup. Linux users can follow the instructions given in read me file. 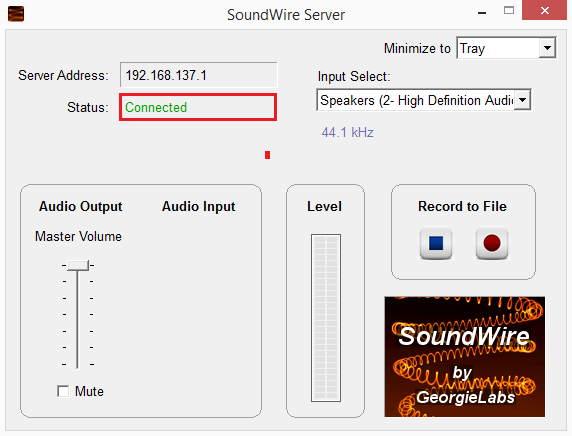 Install the setup on your computer and launch SoundWire Server. Under Input section select Default multimedia device from the drop down menu. Now open SoundWire on your android phone and click on the coiled wire button. If everything goes fine it will automatically get connected and you will get connected message on SoundWire PC client. If you get an error message like “couldn’t locate server” (refer below screenshot) then you need to manually input the server address (Shown on your PC) on your android device. Once it get connected simply start playing some music on your computer. The music will automatically play on your android phone. Off course the volume wouldn’t be too loud but still if you want to adjust the volume then you can do it in many ways. You can use volume up/down button on your android device. You can adjust volume from the media player on your computer. 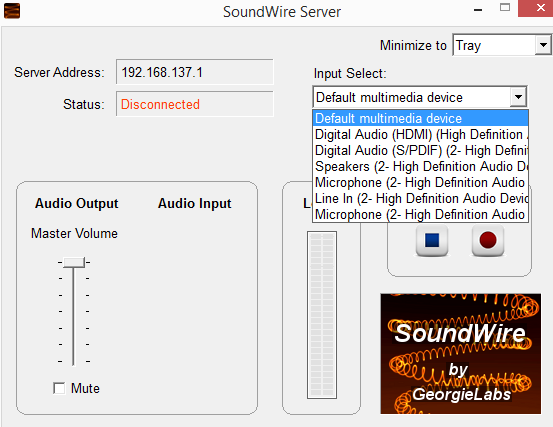 And finally you can use the SoundWire server to adjust volume. 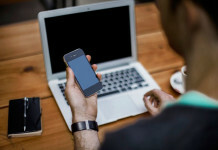 Done with your work or simply just want to connect some other device? 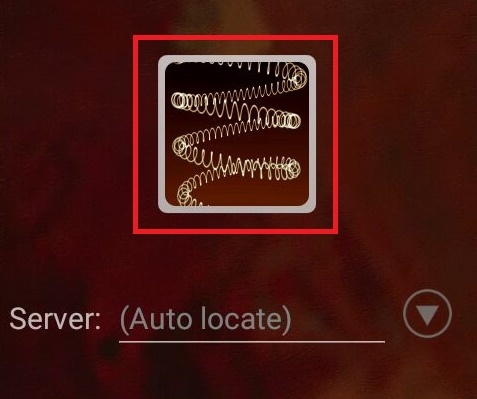 Then you can simply click the (x) button on your android phone to abort the connection. Or if you want to close then connection from the server side then you can simple close SoundWire server running on your computer.